Greater Knoxville ENT is proud to announce that Dr. Elise Denneny has been named President-elect for the Tennessee Medical Association, effective in May. When she takes office as the 2019-2020 TMA President, Dr. Denneny will be the third female president in TMA history. “In thirty years of practicing medicine across every kind of practice setting I’ve seen the relevance and impact of organized medicine. It impacts the lives of physicians, patients families and communities. The Tennessee Medical Association fights for those interests along with federal, state and local societies. TMA has momentum on the back of recent legislative successes,” says Denneny. 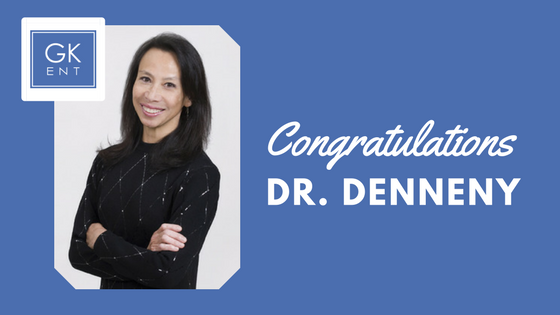 Dr. Denneny is a current member of the TMA Board of Trustees and is past president of the Knoxville Academy of Medicine.